A display of visionary art and an exhibit of works from the recent 2019 Bi-State Art Competition will soon come to an end at the Meridian Museum of Art. 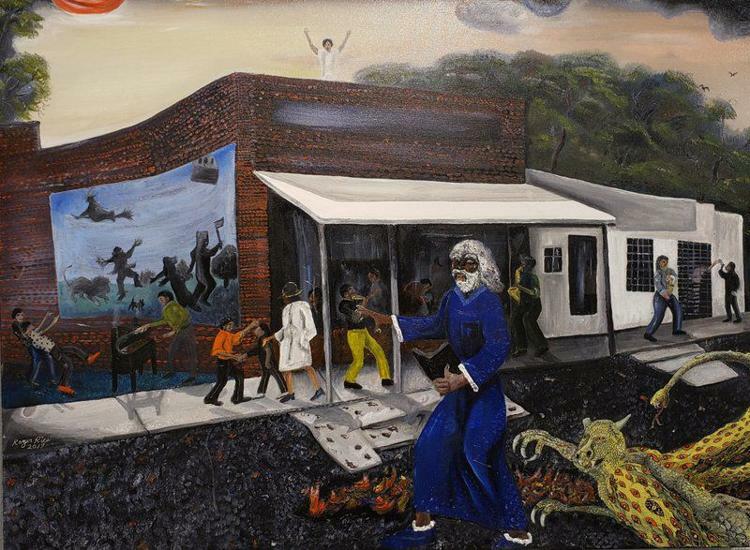 Dr. Roger Rice’s Visionary Art will continue at the downtown Meridian museum through March 30. Works from the Bi-State Competition will be featured through March 23. More than 170 entries were submitted for the 2019 MMA Bi-State Art Competition, with 60 works from artists selected. The oldest juried art competition in the region, this year’s Meridian Museum of Art Bi-State marked its 45th milestone year. The competition continues to be the cornerstone exhibit for the Meridian Museum of Art, Cherry said. Melissa Harshman from the University of Georgia served as this year’s juror. Harshman received her master of fine arts degree from the University of Wisconsin-Madison in 1992. She has taught in the Printmaking and Book Arts Department at the Lamar Dodd School of Art since 1993.